This updated edition carries on the tradition of providing sound and practical guidance for new and experienced practitioners on all aspects of food and nourishment for ageing adults. Whether residing at home, in assisted living or in a nursing facility, older adults have unique nutrition needs. 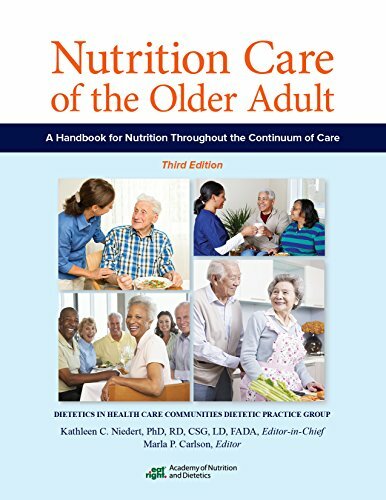 Like the previous edition, this hands-on reference encompasses the total perspective on person-driven nutrition care of older adults, from nutrition and disease states to regulatory compliance in health care settings. Among the many timely updates addressed in this edition are: Strategies for implementing the updated Nutrition Care Process. Understanding and developing systems to implement quality assurance and performance improvement. Changes in Medicare and health-care reform resulting from the Affordable Care Act are addressed. A new section on emergency preparedness - and an important addition that reinforces the need for practitioners to develop a plan for maintaining care during an emergency or disaster.